Taking customers details is quick and easy if you are at shows or simply away from your PC. Smartphone and iPad compatability means you are not tied to a desk PC. 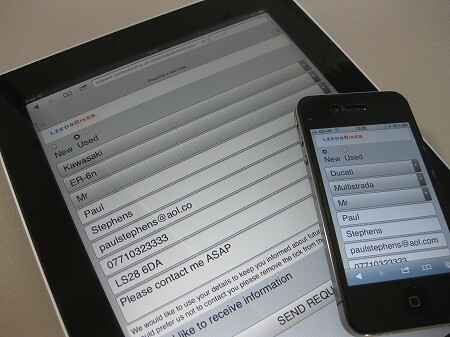 Contact Online supports QR codes which are a great way to allow customers to request information on particular models. The enquiry is sent instantly to the Contact Online Diary for immediate action. Try it for yourself by using the QR code here. 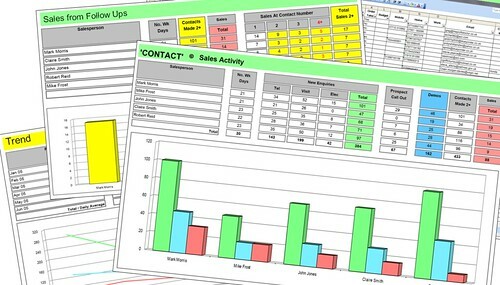 Many dealers are unable to realise the sales and marketing power of their customer database because it is trapped inside a complex Dealer Management System (DMS) or perhaps because it is stored inside in a collection of unrelated spreadsheets. Contact Online makes it easy to unlock these valuable records and use them to increase sales. We can help cleanse, organise and up load them into the Contact Online System where they can be searched and sorted easily using simple intuitive drop down menus. 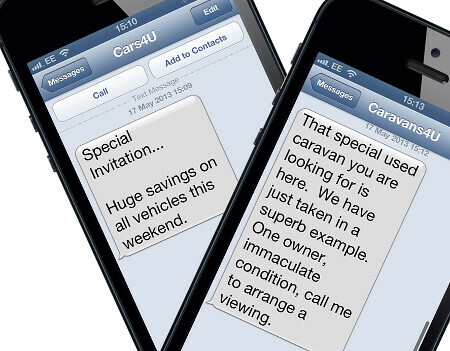 Once selected customers can be contacted using the highly effective bulk email or bulk text functions within the diary. Tracking and improving performance is made easy with a wide range of 'live' Management reports that track sales activity in real time. Contact Online works seamlessly with your website to help convert interest into sales! We can connect your existing 'call to action' buttons and forms or provide you with a professional ready made webform. Click one of the examples below to see it in action. Customers interested in a particular product on your website simply click on one of the visible prompts where they can complete their contact details. The enquiry is fed instantly into the Contact Online diary. This saves salespeople time, improves enquiry capture rates and encourages a quick response. Searching for and communicating with specific customers using text or email is childs play. What's more it works! Many of our users consistently use this function to increase sales. Contact Online helps dealers to increase sales by transferring sales leads from the manufacturers webite direct to the relevant dealers diary. In addition a link to Black Horse Finance keeps dealers informed of potential customers ready to change.